1-Please email to receive and download the application form. An Altitude of 2615mt (8579 ft) approx. The highest peak of Nainital provide the challenge to the most avid trekkers. Situated about 6KM. (4Miles) from Mallital. OPEN TO ALL. It is steep uphill climb. All participants are requested to access their own physical fitness before joining the trek. Assembly at Govind Ballabh Pant statue at 7:30am official then to Cheena via British route. Enroute refreshment will provide. 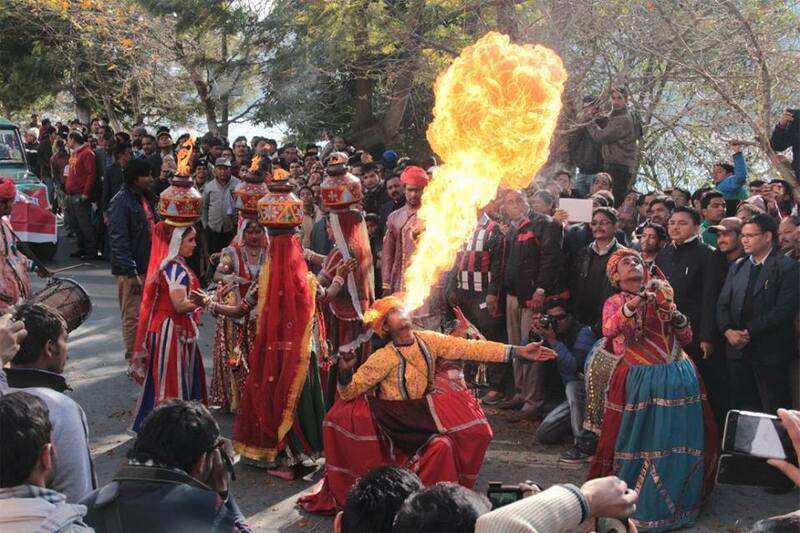 by Nainital Winter Carnival. 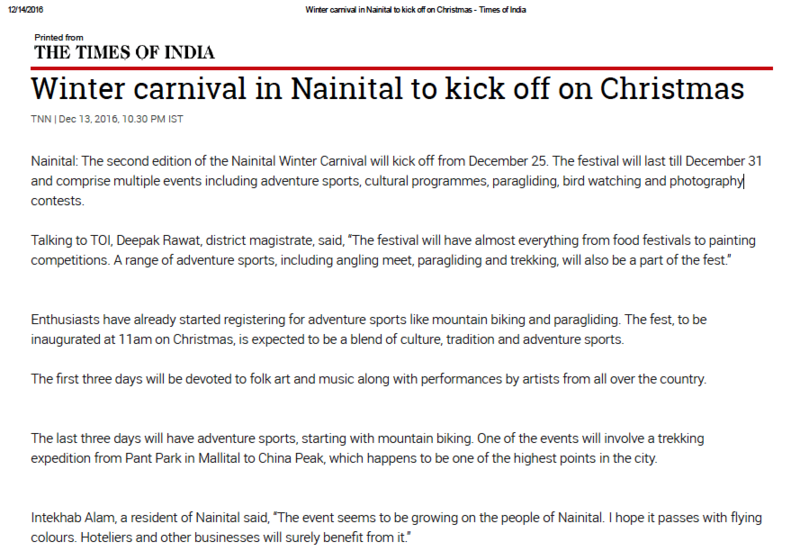 http://timesofindia.indiatimes.com/city/dehradun/Winter-carnival-in-Nainital-to-kick-off-on-Christmas/articleshow/55966594.cms Dec 13, 2016, 10.30 PM IST. Hi, is it free or any entry chrges ?